There is a virtual protest against Autism Speaks on at the moment.... you can find out more about it on the Boycott Autism Speaks Facebook page, twitter account, and website. If you do not like the message of fear Autism Speaks spreads, you might like to join in too. Write a message and send in a photo- easy!! 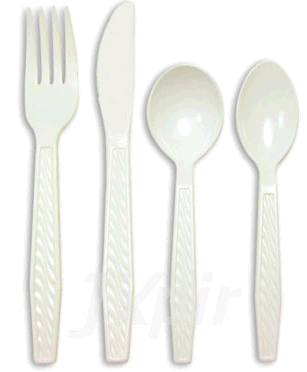 Here are the photos my family and I have contributed. Image is L, a smiling teenaged boy in a red shirt, holding two signs. 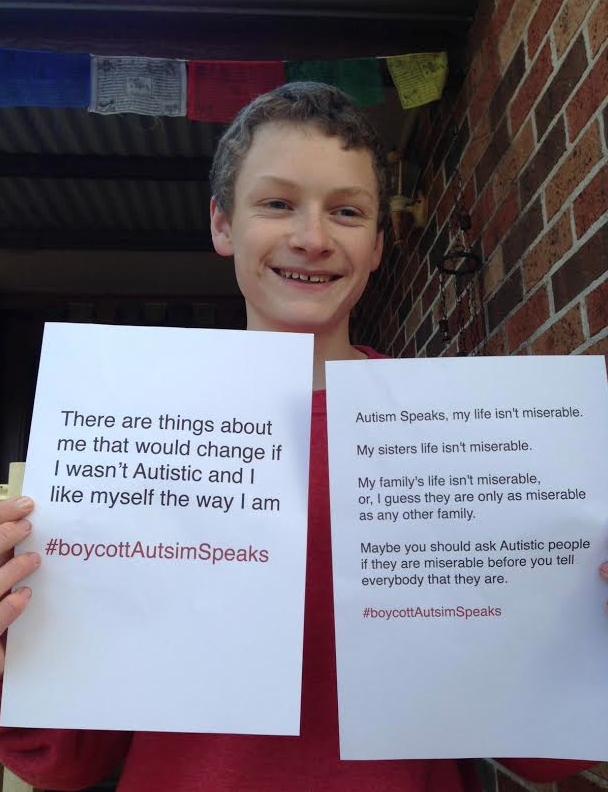 The sign on the left reads "There are things about me that would change if I wasn't Autistic and I like myself the way I am #boycottAutismSpeaks. The sign on the right reads " Autism Speaks, my life isn't miserable. 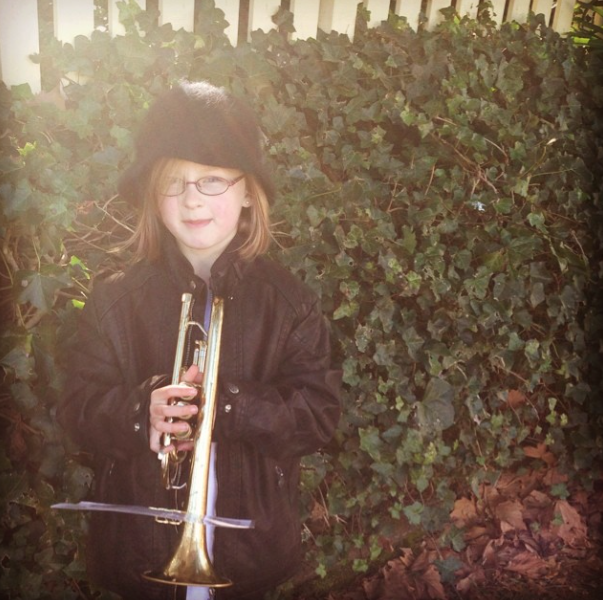 My sisters life isn't miserable. My family's life isn't miserable, or, I guess they are only as miserable as any other family. Maybe you should ask Autistic people if they are miserable before you tell everybody that they are. 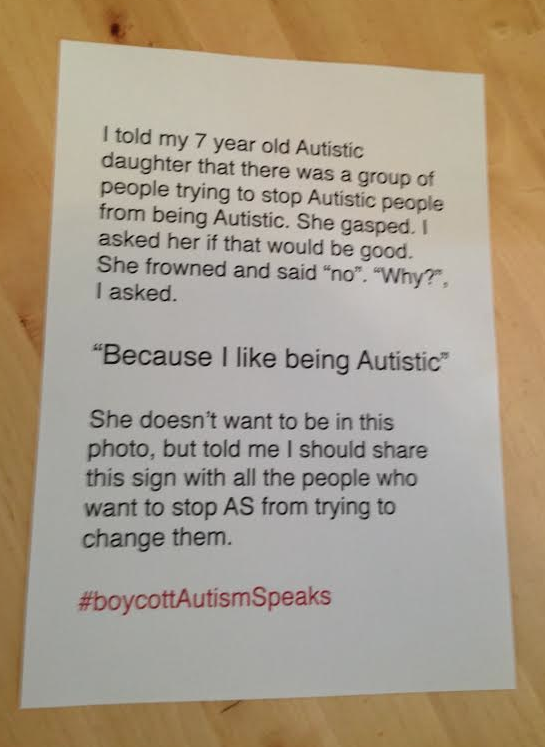 #boycottAutismSpeaks "
Image is of a sign on a wooden table. It reads "I told my 7 year old Autistic daughter that there was a group of people trying to stop Autistic people from begin Autistic. She gasped. I asked her if that would be good. She frowned and said "no". "Why? ", I asked. "Because I like being Autistic" She doesn't want to be in this photo, but told me I should share this sign with all the people who want to stop AS from trying to change them. 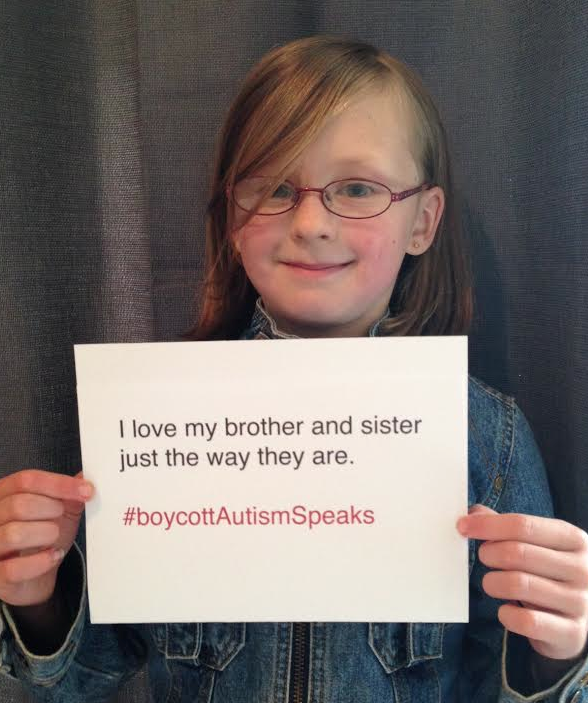 #boycottAutismSpeaks "
Image is of K, a young girl with shoulder length straight hair and pink framed glasses looking at the camera with a feint smile, holding a sign that says "I love my brother and sister just the way they are. #boycottAutismSpeaks "
Image is of me, a light skinned brown haired woman wearing black framed glasses and looking at the camera. 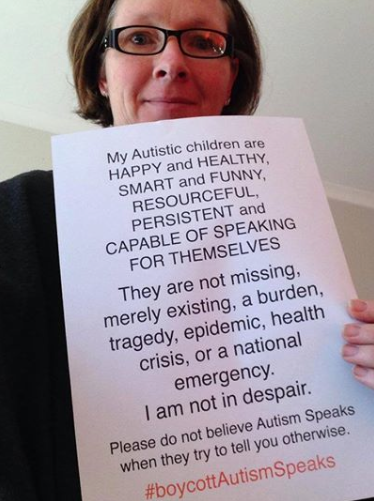 I am holding a sign that reads "My Autistic children are HAPPY and HEALTHY, SMART and FUNNY, RESOURCEFUL, PERSISTENT and CAPABLE OF SPEAKING FOR THEMSELVES They are not missing, merely existing, a burden, tragedy, epidemic, health crisis, or a national emergency. I am not in despair. Please do not believe Autism Speaks when they try to tell you otherwise. #boycottAutismSpeaks "
Tonight MissG was having a really tough time coping with the noise in the house, and was barely "holding it together" when a ball accidentally bumped her on the head. It wasn't a big bump to cause physical pain, but she was very upset. A outburst followed, and MissG took herself off to her room to be alone for a while. After a few minutes I went to her and asked if she would like a hug, as she often appreciates some deep pressure squeezes when she is stressed. She replied "leave me alone". So I quietly left. When she came out she wanted to talk to me. She asked me to sit with her, and she told me that when she said "leave me alone" she had meant to say "I do want a hug". I asked her if she often found herself saying things that weren't what she wanted to say. 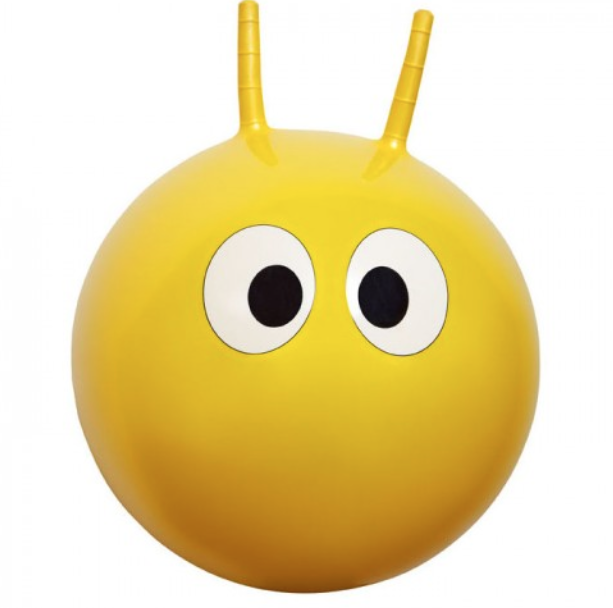 She said "no" and then she said "but when I yelled 'I hate you' to E when the ball bumped me I meant to say 'I am OK'." We talked about this for a while, and I told her I knew of other Autistic people who who find it hard to get their mouths to say what they want to say when they are stressed. I told her about writing to communicate. She asked what to do if you can't write yet. I told her some people use pictures to communicate. She thought about that for a while, then said she wanted to tell E she didn't mean to say "I hate you". After she went to explain to E and she felt things were restored between them, she asked to draw pictures of her feelings. We got out some coloured paper and she drew some feelings. I asked her if she wanted to use her pictures to help let people know what she wants to say if she gets stressed. She loved the idea, so we set about putting together a book of feelings for MissG to use when she has trouble making her mouth say the same thing her mind is thinking. 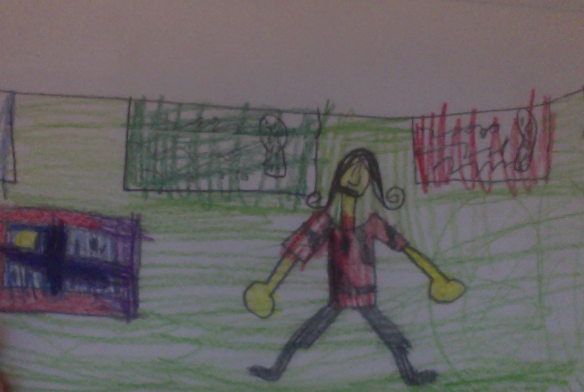 The images in this post are the pictures MissG drew of how she feels at different times. Each has a caption written by me so that the people MissG shows the picture to knows what she means by them. 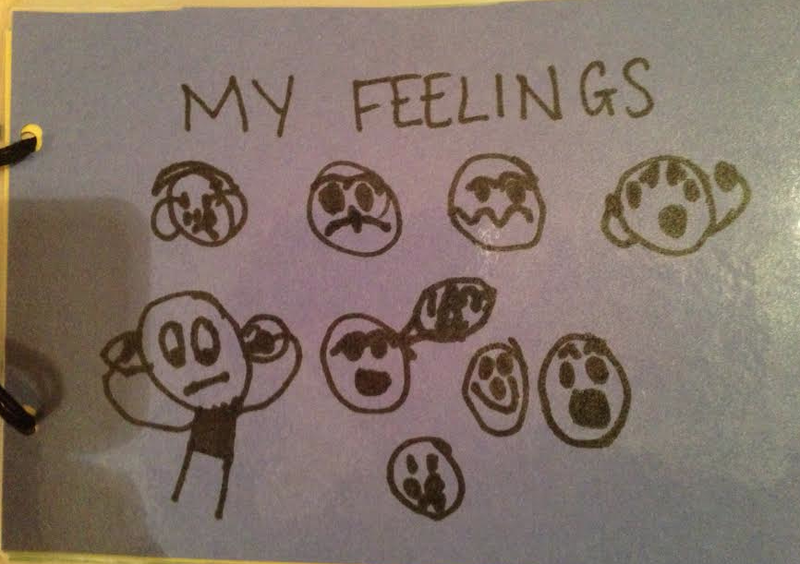 There is a "title page" that says "MY FEELINGS" and has a few different pictures of faces on it. 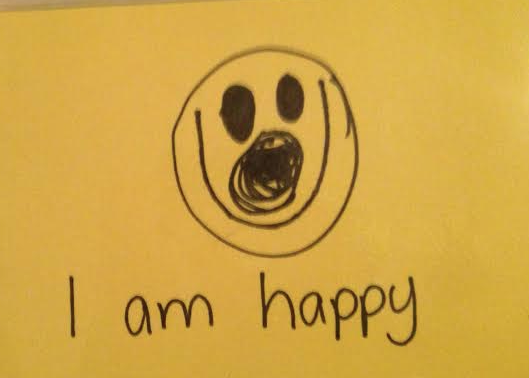 There is a yellow page with a smiling face that says 'I am happy'. 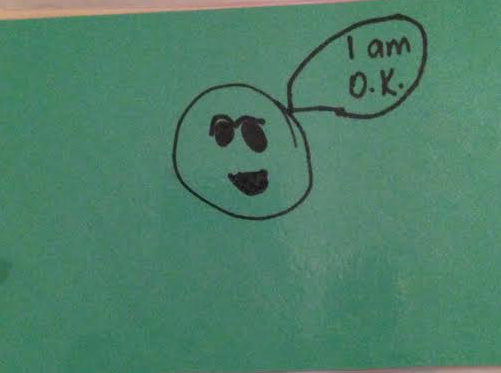 Then a green page that has a face with a small smile that says 'I am OK'. 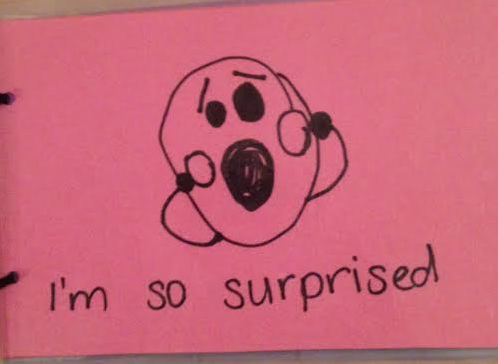 Next is a pink page that has a picture of a person with their mouth open and hands on their cheeks that says 'I'm so surprised'. 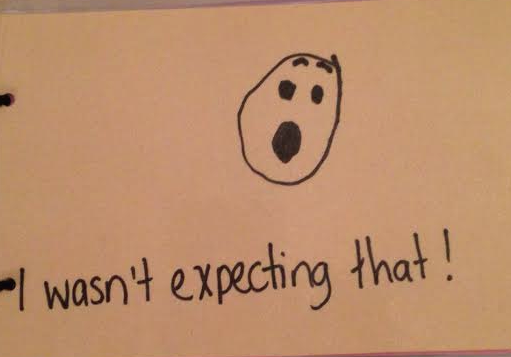 Following that is a light brown page with a face with an open mouth and eyebrows raised that says 'I wasn't expecting that!'. 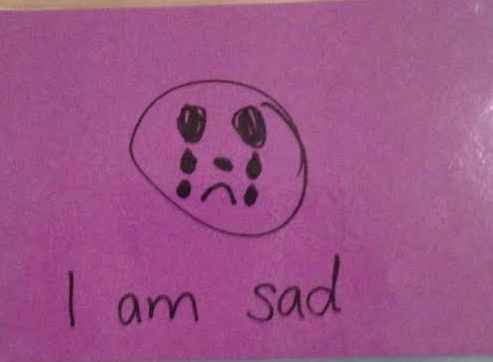 Next is a purple page picturing a face with downturned mouth and two tears under each eye that says 'I am sad'. 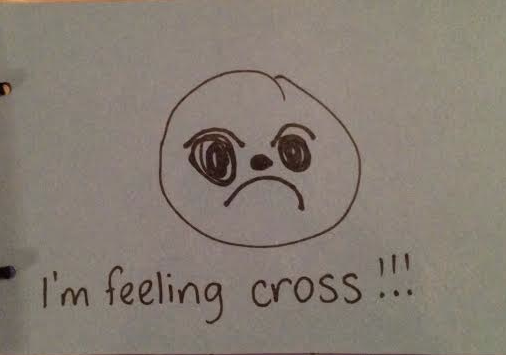 A grey page follows showing a face with a downturned mouth and eyebrows close to the eyes that says 'I'm feeling cross'. 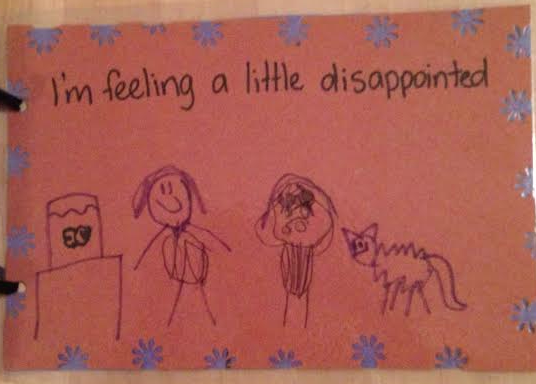 The next picture is on dark brown paper, there is a picture of two people and a cat standing next to a fish tank, one person looks happy and one looks sad, the caption says 'I'm feeling a little disappointed'. 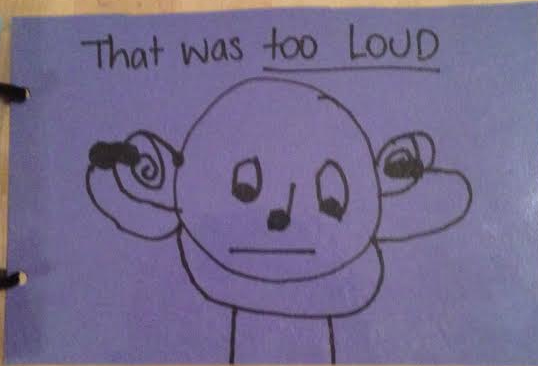 The last picture is on blue paper and is of a person with wide eyes and a flat line mouth, the person has big ears and is holding their hands over their ears, it says 'That was too LOUD'. 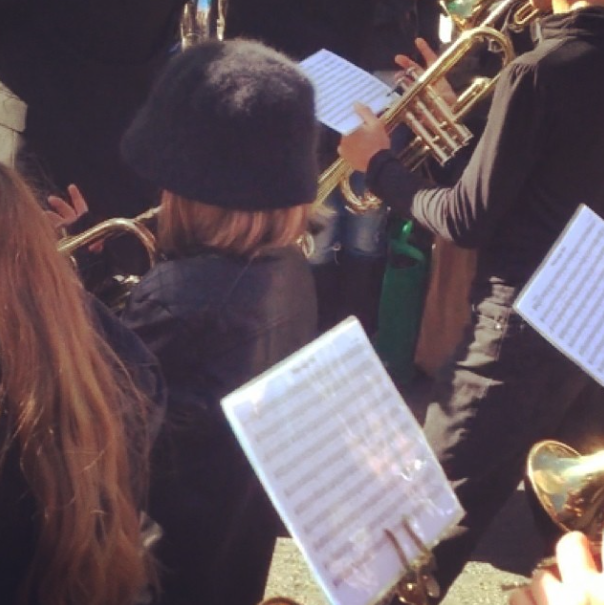 The pictures and information in this post are all shared with MissG's permission. OK world, let's get something straight. You need to know what I hear when you sympathise, empathise and otherwise have compassion for people who murder their children. "If you kill MasterL or MissG, I will feel sorry for you." That is wrong. It is so wrong it makes me sick to my stomach. I also hear you say that their lives are less valuable than my other children's lives. I hear you say that my life is more valuable than their lives. I hear you say that because they are not "normal" they can be disposed of and that would be understandable. I'll say it again. That is wrong and it makes me sick. I know that is not what you think you are saying, but it is what I hear. And when you try to shame me for not having compassion for a murderer by asking me if I know for sure I would never kill my child..... I have to walk away from my computer for hours, and am unable to eat for that whole period of time because I feel so nauseated. When you make excuses for parents who murder their child by saying "oh, they must have been mentally ill" my skin crawls. What I hear you saying is that my husband, who is Bipolar is more likely to kill our kids because he has a "mental illness", when in fact the research clearly shows he is actually more likely to be bullied by you and discriminated against by you than he is to ever hurt one of our kids. So, you know what? Shut up the lot of you. Close your mouths and really have a think about what you are saying, what you are implying, and how your words impact other people. Every time you make comments like these you help to increase the stigma against my whole family and you endanger my children's lives. During #AutismAcceptanceMonth is a good time to talk about Autistic safe space. This is incredibly important information for people to understand. Please read this article from Cynthia at MusingsofanAspie﻿. So often when looking at Facebook pages and websites about Autism, I see parents talking about the importance of sharing their experience with the world. They argue it adamantly, over the top of all other voices, stating their right to free speech, their right to be heard, their right to support. I've been struggling with this because I do believe that everyone has a right to speak their own truth, but I have trouble reconciling that belief when I can see a persons words damaging others. I see some people trying to silence others because their truths don't match up. Reading Cynthia's article today helped me clarify some thoughts I've been processing and I'd like to share those with you. 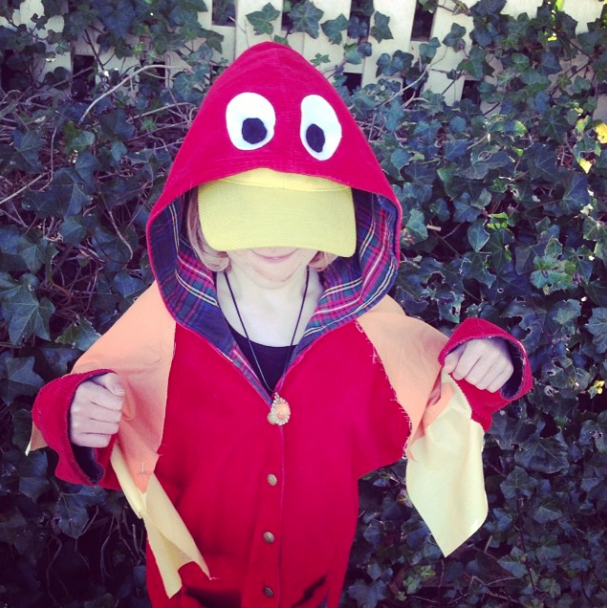 "I think of autistic safe space as a kind of middle ground, between autistic friendly space and autistic space. There isn’t necessarily a clear definition of each of the three, but for the sake of helping people new to these concepts understand them better, I’ll take a stab at describing them. Autistic friendly space tends to be predominantly allistic space which has been modified to make it more welcoming to autistic people. For example, sensory friendly film showings or an event that features flapping instead of clapping, is held in a hall without fluorescent lighting, requests attendees to be fragrance-free, provides communication badges, has a quiet area and does not allow flash photography. An autistic person isn’t necessarily going to feel totally comfortable in autistic friendly spaces, but there are considerably more accommodations made than in the typical public space. An autistic safe space takes the concept of autistic friendly space one step further, putting the autistic person’s needs first. Often safe space has a greater emphasis on safety with regard to identity and expression whereas friendly space has a greater emphasis on disability accommodations. Online, autistic safe spaces are very much about safe speech. In person, the concept is extended to physical expression, meaning that things like stimming and atypical communication are welcomed and accepted rather than simply tolerated. Safe spaces are often a place to explore difficult topics and push at boundaries without the fear of rejection or humiliation. 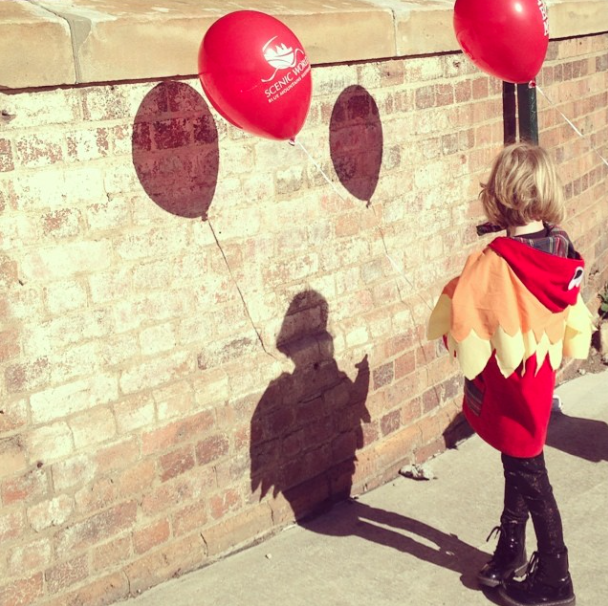 Autistic safe spaces can be mixed spaces, but are generally autistic led. Sometimes this works out really well, with people of different neurologies sharing experiences and learning from each other. And sometimes it turns into a disaster. I’ve seen both cases firsthand and, ironically, when things go wrong in a safe space, people can be hurt badly. Much more so, it seems, than when things go wrong in typical public spaces. Finally, there is autistic space. I was going to define autistic space as one in which all participants are on the spectrum, but then I realized that my home is autistic space. It’s a place where I feel completely comfortable to be myself and where my communication style is honored. It’s a place where I have minimal sensory distraction. A place where I know what to expect. Perhaps autistic space is a cultural construct rather than something that is created strictly by the neurology of the participants. And that feels like an idea that’s too large to get into in the final lines of a post, so I’m going to set it aside for another day." 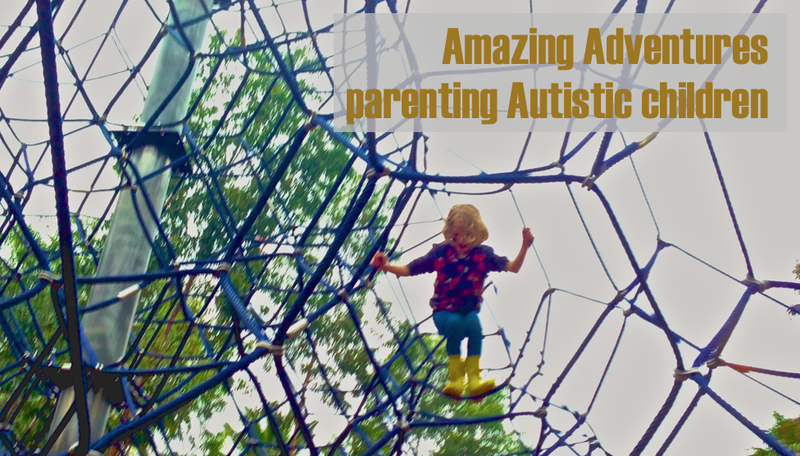 This is something I work hard on here at Amazing Adventures parenting Autistic children﻿. To be honest, as a non-autistic person, I am unable to keep this page as Autistic space, or even Autistic safe space.... because I do not know what it is like to be Autistic, and therefore cannot always anticipate what will make a space unfriendly, but I am learning. 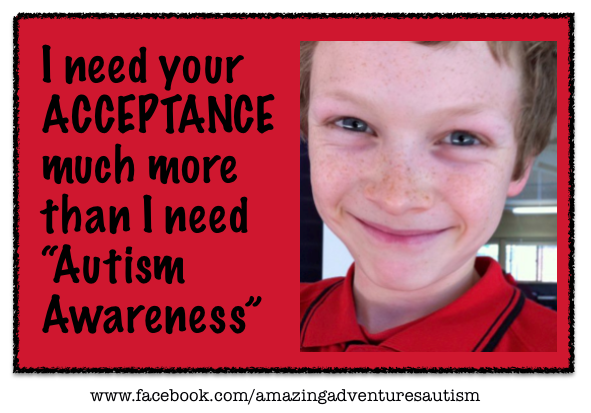 I am trying to do better than just having an Autistic friendly space, but it will take time and more learning. 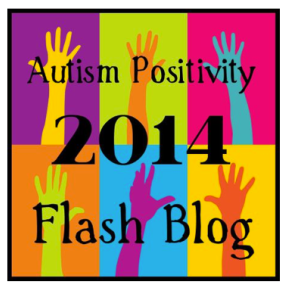 To that end, I do my utmost to keep my blog and my page Autistic friendly space. You may from time to time notice that a comment has been deleted, or that I do not repost some things shared on my page. This is because they are things I know from having spent time with and listening to Autistic people that those things make a place unsafe. And, as Cynthia says, there are some things that will always be completely unacceptable. You will never see me speak about my children making my life harder. You will never see me supporting the "Autism is a tragedy" message. You will never see me favouring the voices of non-autistic people over Autistic people on the topic of Autism. There are three reasons for this. The first is that to do any of those things would hurt my Autistic friends. The second is that assuming doing those things would hurt my Autistic friends, I also assume it would hurt my Autistic children. I am not prepared to do either of those things in order to make myself more relatable or readable, to increase traffic to my blog or page, or to fit in with the status quo. The third reason is that I value my integrity, and I will not speak things that are not true for me. My truth is important to me. I will always speak my truth unapologetically. And the truth of my life is, it is hard. Parenting is hard. But that is not my children's fault. Being a wife is hard. But that is not my husbands fault. Being a student is hard. But that is not my teachers fault. Being an advocate is hard. But that is not your fault. It is just life. It is how it is. This is fact. My life is my responsibility. I have chosen everything in it. I continue to choose everything in my life everyday that I don't walk away from it all. It is hard. It is mine. And my truth is that even if it is hard, I do not choose to walk away to something easier, therefore I will not complain to you how hard it is. Some will say that not telling how hard things are all the time makes me inauthentic, unrealistic and a phoney. 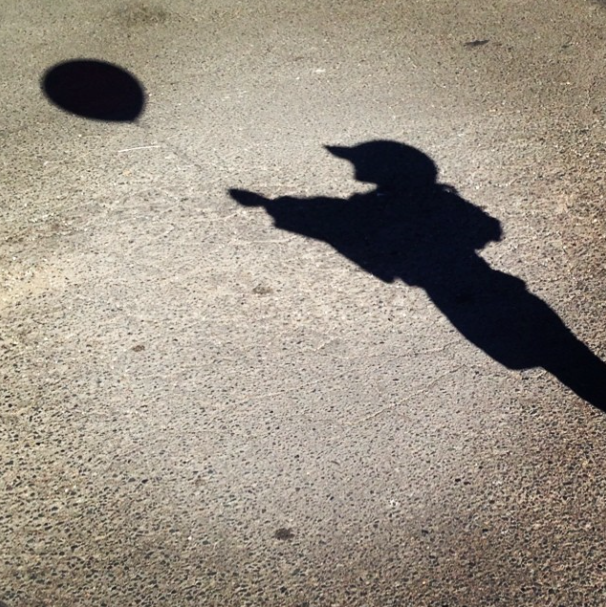 Some will say that it is important to tell the struggles so that other parents know they are not alone. Some will say that failing to acknowledge the difficulties publicly invalidates the experience of others. I say that insisting I do all those things would make me inauthentic, leave me isolated from those who share the same experience as I do, and would invalidate my experience. Our truths do not align. Yes, they are entitled to speak theirs. When they are individuals I do not go into their space and tell them they are wrong. I simply avoid their space (this changes for me when the person speaking represents an organisation, but that is not what I am talking about here). I do not live a life so difficult that is is miserable. I do not need to hear each individual story to know there are others out there who find things tough. I do not need to hang around with people who want to focus on the hard stuff. I do need support from those who are trying as hard as I am to remain positive and proactive. I hope that other individuals will respect my right to speak my truth, and rather than stepping in to my space to educate me, they will simply avoid my space. In my space I will continue to speak my truth unapologetically, and I will do everything I can to keep my space safe for my Autistic friends and family members. To my Autistic friends, I am sorry. 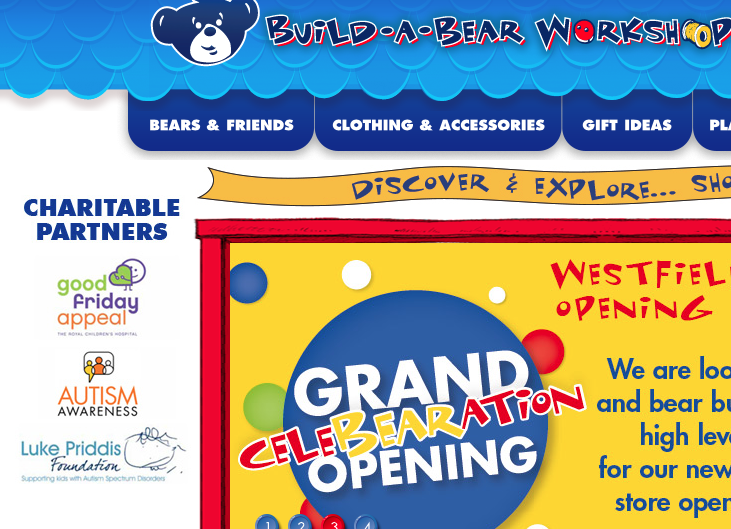 I am sorry that all too often you have to deal with spaces that are not Autistic friendly, let alone Autistic safe. I am sorry that I sometimes let you down. 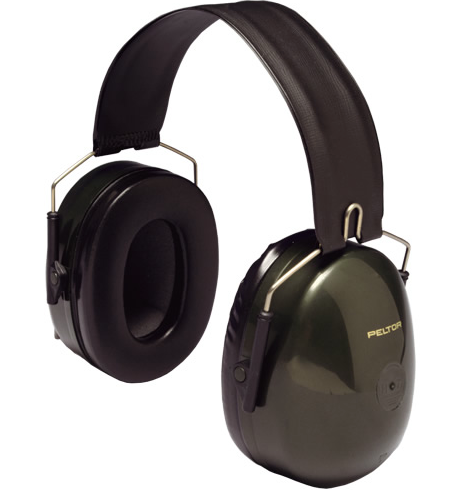 I am listening, though, and I hope I am learning enough to improve in this area. I want to thank you- for being patient with me, for being open with me, for teaching me when you have no obligation to. You are all making such a difference in my life, and in the lives of my children. I will do whatever I can to make this space safe for you, and for my kids. There are so many places that I know you do not feel safe in. I hope this is a place you can come and feel heard and be safe.